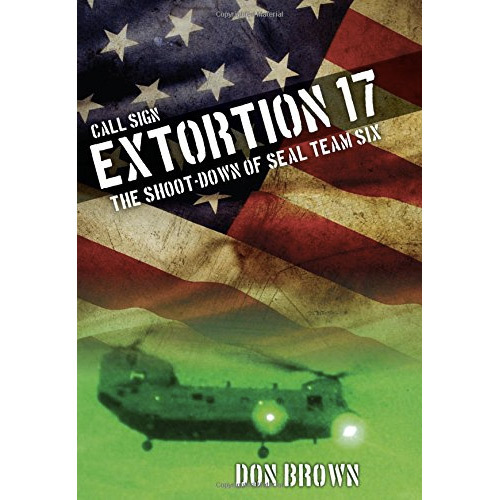 On August 6, 2011—three months after Navy SEAL Team Six killed Osama Bin Laden—Taliban forces took down a United States helicopter, call sign “Extortion 17.” Was it sabotage? Political sacrifice? Join experienced military prosecutor Don Brown and examine the evidence yourself. On August 6, 2011—three months after members of Navy SEAL Team Six killed Osama Bin Laden—Taliban forces took down a United States helicopter, call sign “Extortion 17.” The attack killed the Air National guard crew, seven unidentified members of the Afghan military, and seventeen members of Navy SEAL Team Six—warrior brothers from the same Team that had killed Osama Bin Laden just ninety days prior. 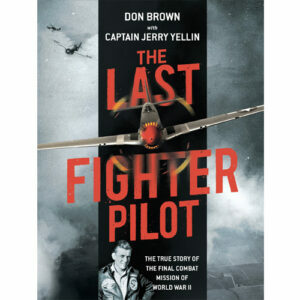 Don Brown, a former U.S. Navy JAG officer stationed at the Pentagon and a former Special Assistant United States Attorney, re-creates the wartime action, tells the life stories of the elite warriors our nation lost on that day, and tears apart the official military explanation of the incident contained in the infamous Colt Report, which reveals either gross incompetence or a massive cover-up. Were the seven Afghan soldiers aboard that helicopter really undercover Taliban who either maneuvered the chopper within easy range of being shot down or sabotaged it from within? Were the SEALS sacrificed on the altar of political correctness and deliberately flown into a known Taliban hot zone? Through a serious examination of the evidence, and the lack thereof, Brown tackles the issues of the case as only an experienced military prosecutor can. 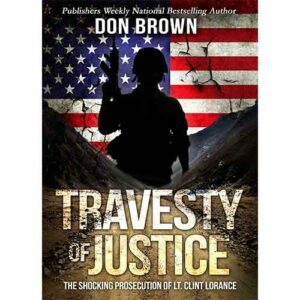 Author Don Brown, a former United States Navy JAG officer stationed at the Pentagon, and former Special Assistant United States Attorney, is the author of ten military and legal novels, including the nationally bestselling novels Treason and The Malacca Conspiracy. He lives and practices law in Charlotte, North Carolina. Enter the sum of 18 + 19	below to prove you are a human.